Established in 2003 in San Luis Obispo, with over 20 years of experience in the industry. I am a Member and Certified Detailer recognized by the International Detailing Association (IDA). For your safety and peace of mind we are licensed and insured. I believe in giving everyone the best possible service at a competitive price. I try to produce results that I would expect if I was spending my hard earned money to have my own car cleaned. I've been detailing for 20 yrs and have been in business in San Luis Obispo for 15 of those years. I have experience in all areas of detailing. I treat everyone fair and insist on delivering a quality job. If i can't do it, or its not my specialty, I'll refer you to someone who can. We offer comprehensive services, a convenient location, and unbeatable rates. Stop by today! We look forward to putting some luster back into your vehicle. I run on an appointment only schedule. Please call a week or more in advance to schedule an appointment. I am very excited to announce that West Coast Detailing is offering 2 great new services! 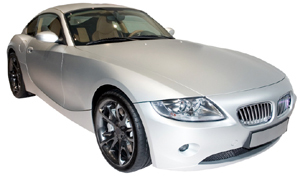 Ceramic Coatings have set a new highend standard in the automotive protection industry. I am pleased to announce that I am offering such a coating. Ceramic Coating is like adding a second clear coat to your vehicle. The clear coat is a very thin surface that protects your paints color layer below. Ceramic Coating adds a stronger layer of clear over your existing clear coat. Its more resistant to scratches, stains,and overall exterior abuse. I will also be offering custom made seat cover by RuffTuff! They are tailored fit custom seat cover manufacturer in Utah. They have been making seat covers since 1976! ALL of their covers are 100% American made! Not a single stitch is done elsewhere! They offer a wide range of materials and have the measurements for just about any vehicle out there! They are custom made to fit your vehicle and your vehicle only. These are not a one size fits all cover. Stop by today to see and touch the available materials they have in stock. Engine Detail, Scratch Removal, Fabric Protectant, Polymer Paint Sealant, Ceramic Coating, Custom Seat Covers, Headlight Restoration, Wheel Polishing, Hard Water Spot Removal. Prices Are Subject to Change Upon Further Inspection of Vehicle. Customer Will Be Notified Prior to Work Being Done. Please Give a Minimum of 24hr Notice of Cancelation or a $25 Charge Will be Applied.